The Pricing Table is one of the more commonly used widgets. It is used when you want the customer to be able to choose from different options but only select one. 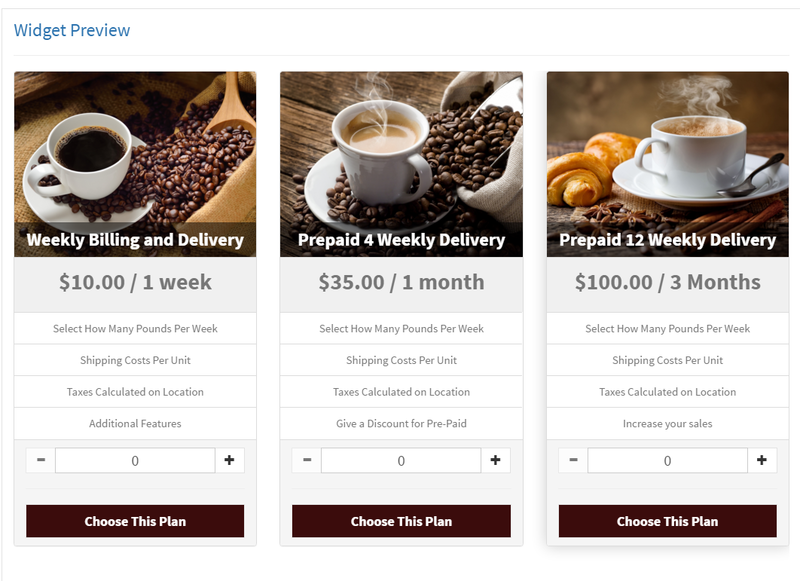 Say you want to give customers a few payment plan options for your more expensive products. You wouldn't want customers from choosing more than one option. In this case the Pricing table is ideal. Helpful Hint: You can also include one time payments in any widget. A one time payment is the same as a subscription plan with only 1 installment. By default the system will show it as a plan "/month" but that can be customized in the widget to say "one time". After purchase it only shows up once in the customers payment calendar, so they aren't confused. 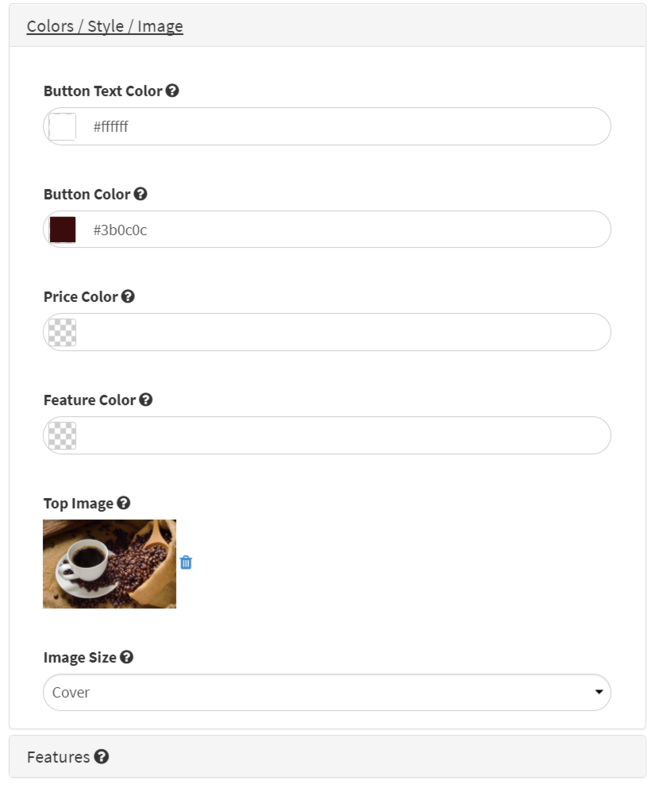 Note: The number of columns setting is more of a maximum and does depend on the size available to the widget. If there isn't enough room to display all on one row it will bump the plan to the next line. Also notice you can override the price displayed in the widget. This can be used in a single installment plan to remove the "/week or month". 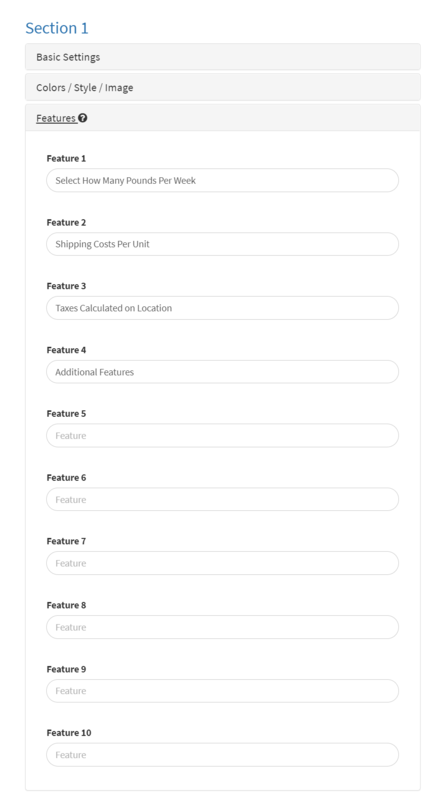 By clicking on the Features tab you can add additional text below the price to describe the plan in more detail. For more information on the different types of widgets click here. Let us know if you have any questions on how the Pricing Table works.